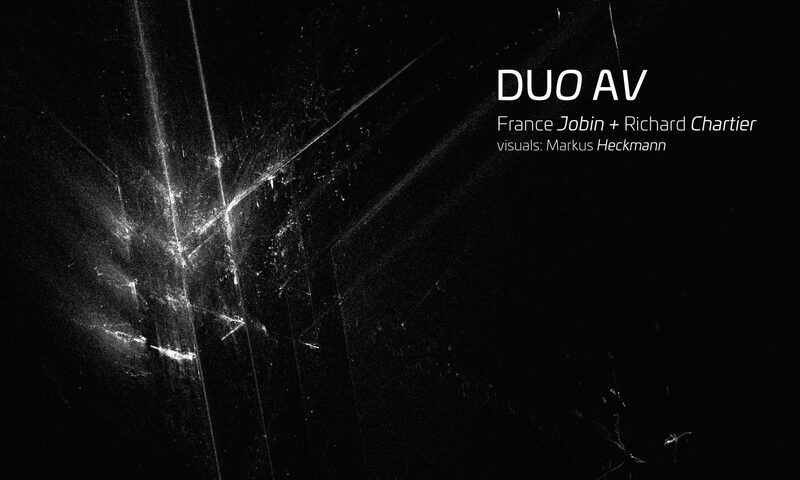 A stalwart of the microsound scene, France Jobin releases her 9th album on the No. label. Despite her previous association with the most lowercase of sounds, this album sees the Montreal-based artist expand her sound palette considerably. These tracks are noticeably fuller in scale and scope, allowing Jobin to explore wider realms of audio. Of course, her signature sine waves are present in many places here, delicate shards and pings of treble and hiss, but overall this collection embraces a warmer, richer aesthetic and it pays off. Track titles are mysterious, possibly relating to quantum entanglement, as this heady area of theoretical physics was influential in the construction of Intrication. The first piece, “Ph”, is an epic 15-minute track that begins proceedings in style. Glitched-out half-melodies stutter from speaker to speaker, with high pitched crackles following along the periphery. Thicker drones appear, until at the halfway point everything dissolves into a beautifully atmospheric soundscape. Sunlit chords create a languid, melancholy mood. Those trademark sine waves make a sudden entry along the way, injecting high frequencies into the soft pads. It’s an amazing way to kick off the album, and is an absolute highlight for me. By contrast, the second track, “01V”, is less than a minute long, a sketch of synths that act as a palette cleanser before another sine wave introduces the third track, “N”. This piece spends its first few minutes in typically Jobian territory: sparse, barely audible sine waves ping back and forth, as a midrange drone gradually creeps into the audio view. Ever so slowly, this template builds in volume, while extra tones are added to flesh out the frequency field. “e-” is a much more substantial piece that starts life with smaller, twinkling sounds that create random patterns of looped melodies, but so tiny that they play tricks with the listener’s perception. Slowly, these metallic sounds are stretched and filtered into different shapes, and widescreen drones begin to fill in between their spaces. Taking its time to develop, this is another long form piece that stands out here, building in intensity until a swarm of buzzing sine waves takes over and fades into silence. Another stand out track for me. Another enigmatically-named track, “m” starts with simple piano notes struck, that become engulfed in ever-increasing layers of fuzz and glitches. This is one of the most maximal pieces here, and I can imagine this being performed live would be an immersive experience. This thought makes me wonder: as Jobin is a prolific live performer, especially at larger festivals, perhaps her composition approach has been informed by this. The need to fill larger live spaces might steer her towards a lager sound, whereas her earlier work was informed by smaller, more intimate spaces like galleries. 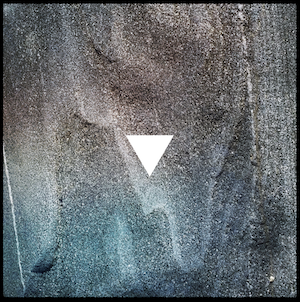 The glitches return in the final track, “graviton”, which could be right at home on a Raster Noton release. Again, an implied melody is staggered into rhythmic cut-ups, fluttering and dancing, and which was briefly touched on in a smaller way on a previous track, “02V”. “graviton” takes this concept and repeats it until the final few minutes, when slightly harsher sounds are permitted, but always in a controlled manner. This album seems to mark a shifting in Jobin’s sound, one that departs from the strictly ultra-minimal ethos she’s known for, and I for one am excited to hear where this goes. France Jobin’s latest work, Intrication, takes its cues from aspects of quantum theory I’m not going to pretend to understand with much coherence. In essence, the album looks at a process known as ‘quantum entanglement’; when particles interact in such a way that the quantum state of each cannot be described without reference to the other. The album puts the tiniest fragments under the microscope, revealing within them kaleidoscopic expanses. Despite the fact Intrication explores these scientific complexities, it could equally be replicating religious or near-death experiences. ‘m’ is a good example of this reverent quality; like an interlude from a cLOUDDEAD track stretched to the extreme. ‘03V’ follows a similar mood, delicate sun-blushed washes of ambience lightly brushing past. Playing into France’s concept for the album, this track forms part of a larger picture. The ‘V’ stands for ‘vignette’, and ‘01V’ to ‘04V’ are interspersed between the rest of the tracks, acting as a familiar motif throughout. While these act as palette cleansing interludes, the tracks between cover more wide-ranging territory. One of the albums greatest nuances is the combination of natural and synthetic tones. Take ‘graviton’ for example, a glorious combination of warm, expansive dub-ambience and microcopic static pulses. Perhaps the crux of Intrication, ‘e-‘, is another case in point. Delicate chimes ring across the stereo field, gentle reverberations rising and falling abruptly in the backdrop. These resonant twinkles are eventually met by undulating low-end structures, the chimes dissolving into itching twitches of static. It’s fitting Intrication sees its release on Material Object and Atom™’s ‘No.’ label. Throughout his own work Atom™ has explored similar mediations between the scientific and the psychedelic (take a listen to his mid-90s DATacide project for example). Speaking with France about her interpretation of quantum entanglement through the album, she discussed applying the same concept to the relationship between sound and our perception of it. At this point the question becomes almost a philosophical one; as we are presented with the possibility that each of our perceptions may differ, although still pertaining to the same ‘real world’ sound. Whatever our sensory differences might be however, there is a joyous sense of wonder and cosmic discovery to be found throughout Intrication; a considered tribute to the unknown.